We are actively recruiting an Internal Medicine Physician looking to join a well-established, dedicated and compassionate team at CHI St. Alexius Health Williston Clinic, where you will practice in a dynamic and collaborative multi-specialty environment dedicated to patient-centered, high quality medical care. This is an excellent opportunity to step in to a very busy, established practice. A career with Catholic Health Initiatives means working for a financially solid, physician-lead organization, practicing with an outstanding collegial team, and the assurance that you are working for an organization committed to an exceptional value-based, patient-centered environment in which physicians are the leaders of clinical care and innovation. Our Invitation to You – Come discover why more than 4000 physicians and providers choose to call Catholic Health Initiatives home. If you’re passionate about patient care and like what we stand for, take a moment to explore this exceptional opportunity we welcome your interest by email or call to Lynn Kriechbaumer, Physician Recruiter, at 701-530-7132 or by email to LynnKriecbaumer@catholichealth.net or Francine Kyaw, Physician Recruiter at 719-985-9529 or FrancineKyaw@catholichealth.net. The City of Williston is nestled in the northwest corner of North Dakota, just 60 miles from the Canadian border and 18 miles from the Montana border; it is a growing community with a bright future. Williston North Dakota consistently ranks as one of the safest state, most livable state, and healthiest states in the nation. Williston was ranked #18 in Outdoor Life Magazine’s article, "The Top 200 Towns for the Outdoorsman,” and features direct access to a wide array of outdoor recreation – a top 100 golf course, boating on Lake Sakakawea, the largest man-made lake in the country, premier walleye fishing, the finest deer and game bird hunting regions in the United States, and scenic Theodore Roosevelt National Park. Coupled with our high-quality public and private education, beautiful community parks, sports facilities and modern recreation center, churches, and cultural opportunities – it is a quality of life that is unmatched and makes Williston the envy of small communities around the State. Add a rapidly growing and highly prosperous local economy enriched by the oil and gas industry, agriculture and the service sector - you’ll love living, working and raising a family here. We invite you to come work and play in Williston, ND — and experience our amazing quality of life. Join us! 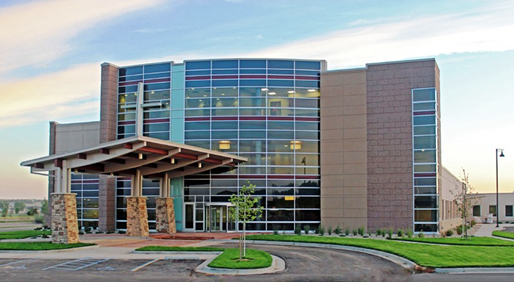 CHI St Alexius Health - Williston Medical Center founded in 1920 by the Sisters of Mercy, is a fully accredited Joint Commission, 25-bed Critical Access regional medical center offering a range of services to an estimated 60,000 people from Western North Dakota and Eastern Montana. We provide comprehensive hospital and clinical services. Equipped with advanced medical technology and staffed by a team of skilled healthcare professions, we are committed to providing quality care in a friendly environment.